unfantastic plastic – One ordinary person's battle to rid the world of plastic..
One ordinary person's battle to rid the world of plastic..
Hello, I’m Judith Fear. I’m stopping buying plastic for 40 days from 6th March 2019. This is because I am concerned about the impact of plastic on the ecology of our planet. Time’s up for my plastic – free life; and time’s up for plastic!! I’ve learnt a lot, and it’s made me focus on how awful the problem really is. Steps I ‘d like to see taken are: a ban on all plastic bags, followed by a ban on shrink-wrapped fruit and veg, a plastic-free aisle in every Supermarket and improved government information and advice on recycling…and that’s just the start of it…. This ISN’T an example of amazing plastic! However, we’ve stupidly, over-produced and used it for many unnecessary things; and now we have a vast problem….. I t’s been great being pro-active about something I feel passionate about but also, at times, depressing – because it’s really made me focus on the multitude of unnecessary plastic out there. I intend to be more proactive by way of joining my local plastic-cutting group meetings, hoping to put pressure on supermarkets and spread the word. I intend making those eco-bricks I found out about. This will hopefully give me practically zero plastic waste. And I intend to buy all my fruit and veg plastic free in future, and bulk buy anything else i need to cut down on plastic waste. I intend to buy and use those fruit and veg sacks I mentioned; I’ve decided they are a better idea than paper bags…which don’t last very long. I will update this blog from time to time. The main problem is that we have been complacent for too long, blinkered or naive re the extent of the plastic problem; A few years ago; I hardly thought twice about shrink-wrapped goods. Now, I feel a need to raise the profile of the plastic problem; to get through to others, pull their blinkers off to show how ridiculous, wasteful and dangerous the situation has become. 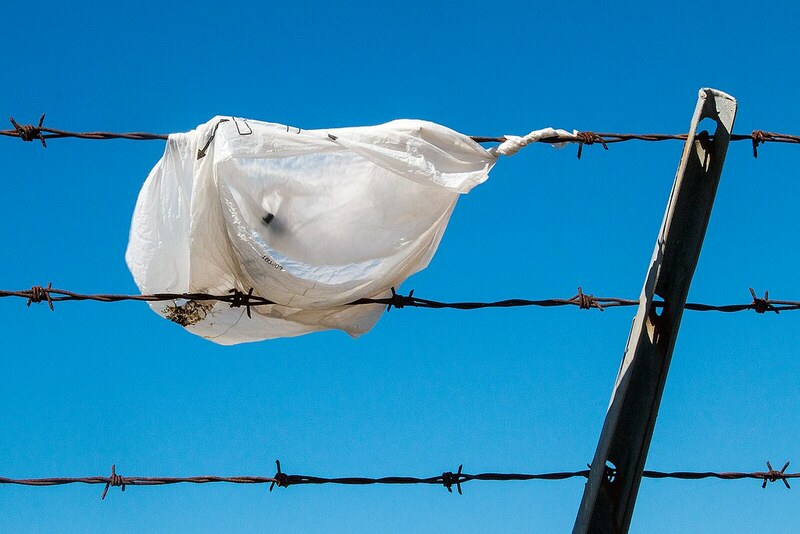 The fight against plastic goes on…it’s time to say ‘goodbye’ to plastic. Did you know that 3.6 billion toothbrushes are made every year and many of those end up in the ocean/landfill? However, look what I found – at Waitrose; a ‘Humble’ toothbrush. The packaging is made from cardboard and compostable paper and the toothbrush is made from bamboo which can be disposed of in the compost bin. The bristles are made of ‘nylon 6’ which can be disposed of with plastics…after removing with pliers/ chopping off head (toothbrush head!). Besides this, every purchase benefits children in need projects. ‘The Humble Co’ is a Swedish firm and can be found on Facebook. On running out of a few basics at home, I recently became acutely aware of the fact that if I hadn’t any plastic supplies prior to starting my plastic ban, I wouldn’t have managed as well as I have. I have run out of rice and lentils. Also, my grey roots have become exceedingly noticeable… as I have banned myself from hair dying products. I am also aware that the tins of tomatoes, beans and fruit I have been buying may have plastic coatings inside. Yesterday, we went to Millets Farm, looking for a bird feeding station…(they sold the same grotty brand as I had already purchased from Argos…’Gardsman’ which doesn’t stand up straight due to useless threads that join the poles…grrr) but on a more positive note, I plundered their loose fruit and veg and noticed that they have some frozen foods that can be shovelled into plastic reusable containers; stir-fry mix, fruit salad mix, sweet potato fries and much more! Day 29: ‘Abingdon Cuts Plastic Group’, some interesting products from Lakeland and re. the smallest room in the house. Firstly a message from ‘1 million women’ – (a brilliant site), on what the EU community are doing re plastic; sorry to be political, but what a shame we are isolating ourselves from them – when they consider eco-policies so well; the Eu has approved a ban in Europe of the following single-use plastics ; namely, plastic straws, plastic cotton buds, plastic drink stirrers, oxo-degradable plastic bags and polystyrene cups. The ban will take place in 2021. Did you know there is an ‘Abingdon Cuts Plastic’ Group that meet monthly? They are a subgroup of Abingdon Carbon Cutters and are affiliated to Surfers Against Sewage. Their aim is for our town to have (single-use) plastic-free status by the end of 2019. They emailed me and asked if I’d like to attend their meetings, which I will as and when I can. The drawstring fruit and veg bags are reusable and the mesh allows air to circulate. However, the site does state that they are made from ‘high quality polyester net’…so I won’t be buying them just yet! They cost £6.99 for a pack of 5 . The ecozone nuts are an alternative to washing detergents and are said to be 100% natural and envirotnmentally friendly. But do they do the job, has anybody out there used them? They are priced at £5.99 at 300g. The ‘guppyfriend Washing bag’ catches microfibres and microplastics. They are made from a super-fine mesh known as Polyamide 6.6 Unfortunately, it costs a whacking £29.99 to buy. The sponge cleaning cloths are 100% biodegradable and cost £5.99 for a pack of 5. I slipped up a little the other day; Yes! 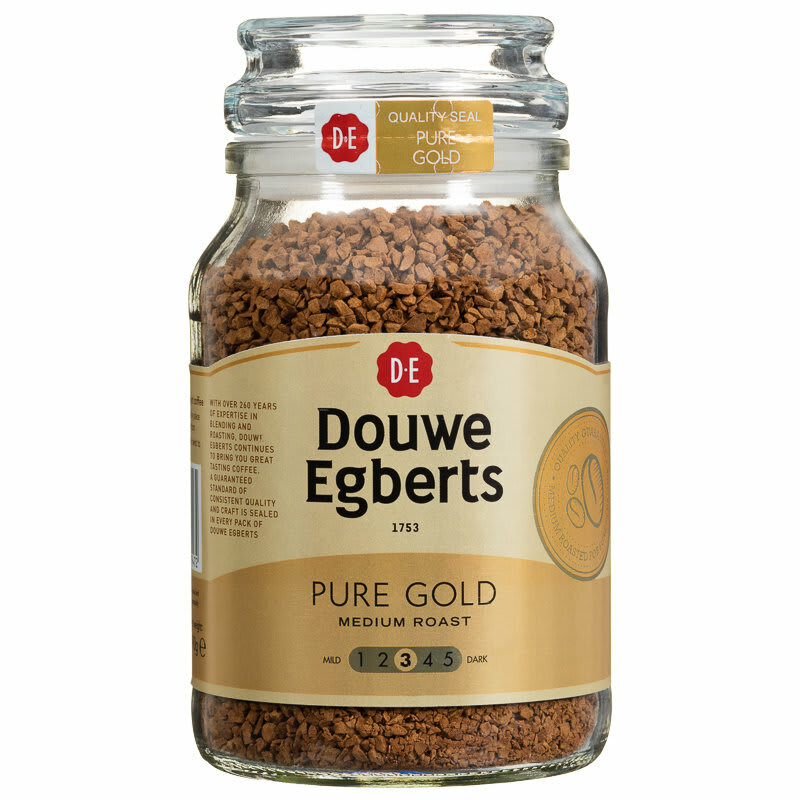 On coffee again – I bought a Douwe Egberts glass jar of coffee, with glass lid, but it has a naughty plastic seal inside the lid. However, to redeem ourselves, my husband has found a loo paper solution, in the form of Waitrose white bathroom tissue in a cardboard box. Expensive at 85p a box – each containing 65 x 2 ply sheets. He also bought ( in desperation) a toothbrush. The manufacturer is ‘TePe’ and the toothbrush is made using 100% green energy. The toothbrush handle is made from sugarcane and the bristles are bio-based. The toothbrush is said to be 96% biobased plastic, although, crazily enough the packaging is mostly plastic…Hmmm…you win some and you lose some! ‘Who gives a Crap’ is a site dealing solely in providing paper-wrapped loo-paper. (This used to be in every supermarket but I can’t find any now!) I was keen to order some loo-rolls (although the name was a little off-putting!) On going on-line I discovered that one can’t do a one-off buy – you have to choose a regular order option (hmm…for your regular deposits in the throne room). Day 24: Homemade toothpaste and the goodness of goats! RESULT: It tastes very salty…and I’m wincing as I type in the memory of the flavour. But it’s worth a try……………….or is it? I’m wondering now, how do I stop it becoming unhygenically contaminated by 4 different toothbrushes (owned by members of my family) dipping in and out of it? I’m keeping it in a sealed plastic box (one I already possessed). I suspect once my children have tried it, they will go out and buy their own toothpaste! It may be difficult to keep it sanitary. You may need to keep it in the fridge. Conclusion: Maybe this is one plastic product I will have to buy? The other alternative is ‘tooth tabs’…available at Lush in a no-no plastic bottle, or sold for 5p each at ‘The Market Garden’ Eynsham. And, on the ‘goodness of goats’ – My husband bought me this shampoo bar today – wrapped in paper…hoorah! And, it is suitable for irritating skin conditions (which I have). Feedback coming soon on this product. It was bought in Abingdon at our local excellence market (on a Saturday every 3 months). See the pic for the website. Day 21: Just over half way! But unsettling news on the paper bag v plastic bag front. 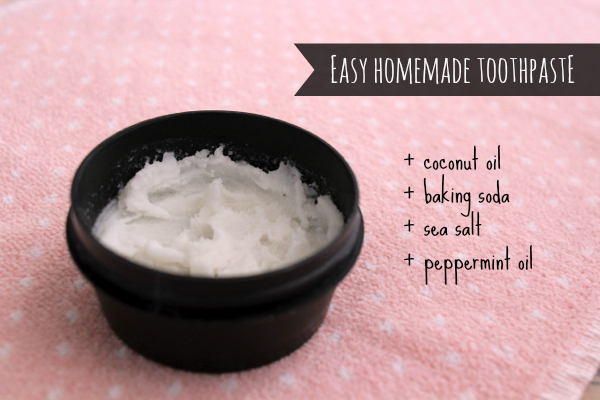 Tomorrow I will be experimenting with making my own toothpaste as we have finally run out! I’ve got the first three ingredients, just need to buy the peppermint oil…hopefully it comes in a glass bottle…but I have my doubts! Unlike plastic bags (which the report says are produced from the waste products of oil refining) paper requires forests to be cut down to produce the bags. The manufacturing process, according to the research, also produces a higher concentration of toxic chemicals compared with making single-use plastic bags. Paper bags also weigh more than plastic; this means transportation requires more energy, adding to their carbon footprint, the study adds. They can be bought at http://www.notonthehighstreet.com and have very good reviews – or the alternative is make your own (see day 18 of this blog). I’m not sure why this site is only targeted at women…but, it does give so much useful information re fighting plastic! Their statement is: ‘WE ARE WOMEN AND GIRLS FROM EVERY CORNER OF THE PLANET BUILDING A LIFESTYLE REVOLUTION TO FIGHT THE CLIMATE CRISIS.’ (…sounds good to me!) I get posts from them on my Facebook page, such as: 8 ways to reduce your plastic footprint, how to stop toothbrushes ending up in landfill, a plastic free bathroom toolkit, how to stop plastic microfibre pollution…and much more!! !…I may just have a look at their toothpaste recipe! Day 18: potty plastic, confession time and a bright spark. Is it about time garden centres recycled these pots? Last week, I went to a local garden centre, ‘Millets’ and came away with some great loose fruit and veg., but NO plants …and why?…..Because, they were all in plastic plant pots. This has led me to wonder, why don’t garden centres have recycling bins for plant pots? I have just acquired a garden shed and after tidying up the garden realised that I have too many of the damn things to fit into my shed. I intend to contact a few garden centres; namely B&Q, Homebase and Millets…to see what they can do! Newspaper posing as a plastic free item..
Also, my son has returned after 3 months in Guatemala. He presented me with this postcard. A typical fruit and veg market in Guatemala. I asked if the produce displayed were in green plastic sacks…..but no, they aren’t – they are in leaves and baskets. Good! Finally, A friend posted a really interesting link to a website that sells biodegradable bags for taking to the supermarket and weighing fruit and veg. They are see- through and washable. However, someone else on the Facebook stream presented this pic of her own version made out of net curtains; what a brilliant idea! This fab idea comes from Teresa Furniss. I hope she doesn’t mind me advertising it…I had better check this out! Lots of yummy stuff from Millets Farm, Frilford. Although, most produce in the farm shop was plastic wrapped (including the cheeses on the cheese counter) there were plenty of loose fruit and veg to choose from ; yeh! I forecast cauliflower cheese, cabbage coleslaw, rhubarb fool, chickpea and sweet potato curry, leek and potato soup…the world’s my unshrink-wrapped oyster! The walnuts we’ll use for snacking.